my name is Jenna. I would like to use this card for thank you card for my wedding. What kind of flower seed inside? A:The dimension of the card is 4.25"L x 3.5"W. The seeds are a wildflower blend. This year, give them a heartfelt card they'll truly love! 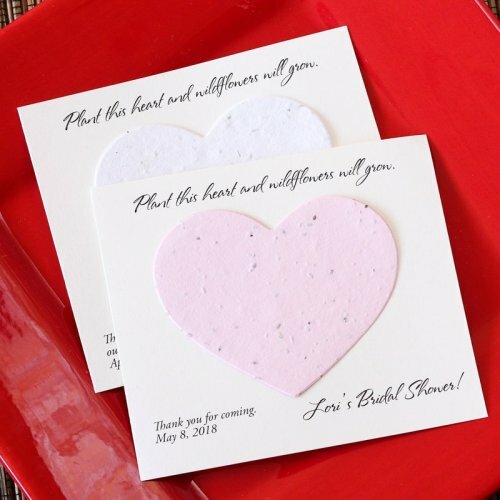 These personalized heart plantable seed cards are both functional and sweet. Special handmade paper is embedded with wildflower seeds and attached to a card, custom printed with names, a personal message, and the date of your event. Personalize with up to 3 lines of text in a print color of your choice. Note that the message at the top of each card is standard and will be printed on each order. Instructions for how to plant your seed favors are printed on each card. 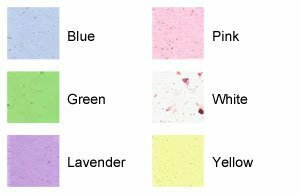 Each flat card seed favor measures 4.25" x 3.5".